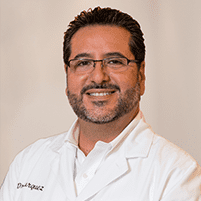 As a top dentist in Chula Vista and Bonita, CA, Dr. Burquez uses advanced techniques to perform root canals aimed at helping patients avoid tooth loss and preserve their own natural teeth. The root canal is a channel that extends from the central portion of your tooth all the way down to the end of the root where it reaches the jaw. It comprises connective tissues, nerves and the blood supply for the tooth, which is sometimes referred to as the pulp of the tooth. A root canal procedure is used when this pulp becomes damaged or infected. It uses special techniques to remove the pulp and seal the channel to prevent additional decay. After a root canal treatment, a crown is often applied to the tooth to provide additional strength and to hide discoloration which may occur. How can I tell if I might need a root canal procedure? Today's root canal procedures use advanced techniques and state-of-the-art pain relief methods, including anesthetics and pain relieving medications, to keep discomfort to a minimum both during and after the procedure. Many patients have no discomfort during the procedure. Is having a root canal always better than having a tooth extracted? Generally speaking, yes, it's better to try to preserve an existing tooth than to have it removed. Keeping your own teeth means your bite pattern and habits won't be disrupted or changed, and it also means you can avoid more costly treatments like dental implants and bridges. In some cases where damage is very extensive, an extraction is a better option. Before any procedure is performed, your tooth will be carefully evaluated to ensure the best treatment choice is made.